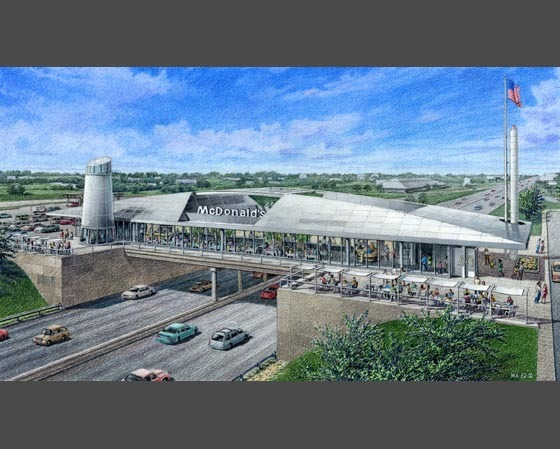 The proposed design for the renovation and re-imaging of multiple amenity rest stop 'oases' for the Illinois tollway system was commissioned by McDonalds as it considered acquisition and redevelopment of several existing mundane facilities. Designed as 'streamlined' objects they are distinctive and visibly recognizable to drivers approaching at high speed. They were planned to house various amenity uses for travelers as well as the several restaurant types then owned by the corporation.